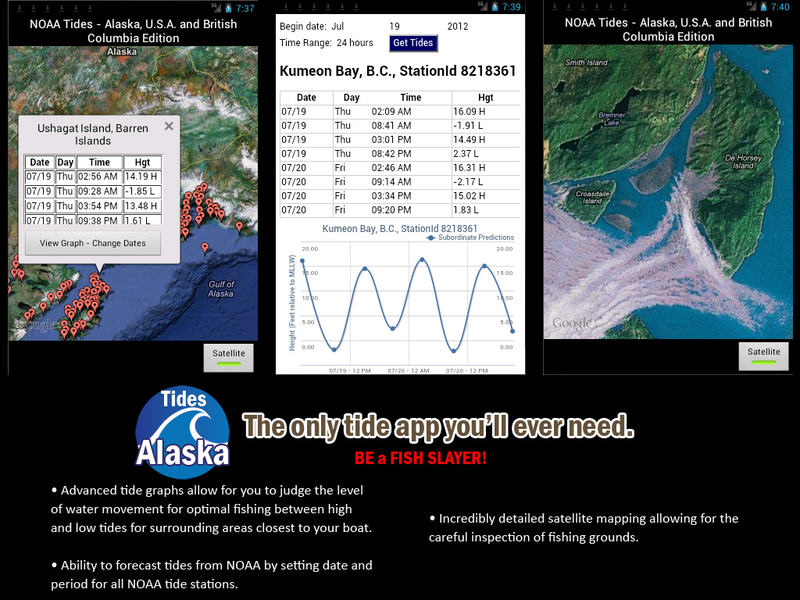 Our tide app accurately displays the most recent NOAA tide predictions for Alaska and portions of British Columbia, Canada tide tables on a satellite map. Tide tables play a major role in Alaska. Having accurate information for Alaska tides helps guarantee choosing the best time to go fishing due to fish being the most active during tidal movement (incoming and outgoing tides) as well as dictate your boating plans. Here is a list of the Tide Tables, we handle all 524 of the Alaskan tide stations.